It’s here -The Best hotels in Ravenna 2019! How to choose the best hotels in Ravenna? If you are reading this article you already did a great decision by coming to tour and see Ravenna, with over 150 hotels in the city we are here to help you do the right decision again and choose the best hotel for you. Please note: The pricing of the hotels depends on seasons. 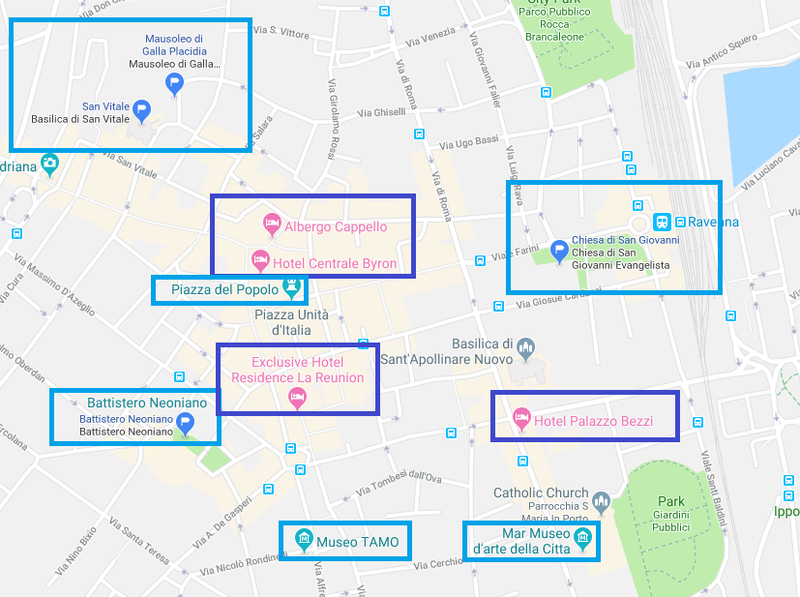 If you want to get the best and quick answer if you ask yourself what is the Ravenna Italy best hotel or which hotel in Ravenna I should take, here is the quick answer which based on our research about the best location, service, and recommendations that have been provided by Booking’s guests. Let’s start with our recommendations. We have divided this article for 2 parts, The best 4 stars hotels in Ravenna, and the best cheap hotels in Ravenna. Here are the best 4 stars hotels in Ravenna Italy, that also can be considered as the best luxury hotels in Ravenna Italy. 4 of our best-recommended hotels are in the best location in Ravenna, located near San Vitale, Piazza del Popolo, Battistero Neonian, the train station, and more super important places. First of all this hotel has one of the best locations that you can find in Ravenna’s area and is located only 0.6 miles from Basilica of San Vitale and 10 minutes from the train station. In addition, This hotel has great facilities including Pampering rooms, comfy beds, and good breakfast. You can also find here Turkish BATH, Sauna, Fitness Center, Bar and of course, free and great wifi. Without a doubt, great one of the best of Ravenna Italy hotels options. Again, this hotel is located in the best area for tourist that want to explore Ravenna, and the NH hotel’s chain knows how to build comfortable hotels in great locations. The NH hotel is located only 200 meters from the train station and very close to Basilica of Sant’Apollinare Nuovo. When talking about facilities, You can find here great rooms, an excellent restaurant and of course free wifi. 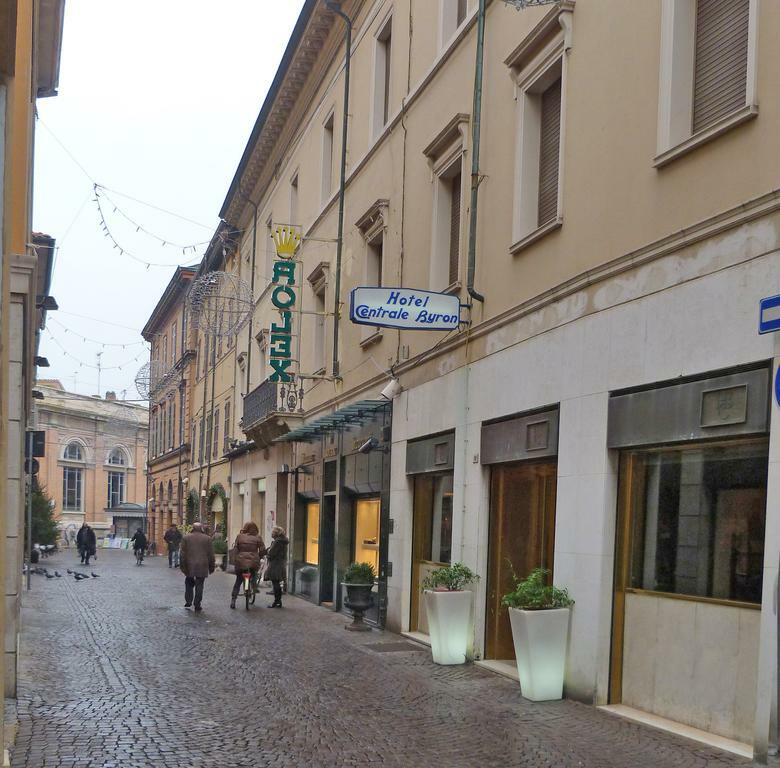 Although this hotel is a little bit far away from Ravenna’s center, it offers a great solution for tourists with cars or ones that don’t care to walk a little bit or use public transportation. Hotel cube in Ravenna has located 3.2 km from Ravenna’s center. You can find here great and clean rooms with a variety of options, and you should enjoy his wonderful Fitness Center, free wifi and family rooms. The price of accommodation at this hotel can be cheaper than other options you may find in Ravenna. Superb location and great facilities. If you have a big budget this hotel may be for you. It located only 300 m from The UNESCO sites of San Vitale and Galla Placidia and have nice and clean rooms. About the facilities of La Reunion’s hotel, you can enjoy a boutique style hotel that also offers free wifi and large apartment. You may enjoy a breakfast buffet as well in the Exclusive Hotel La Reunion’s breakfast hall. This hotel is one of our favorites, it combined amazing location, decent rooms, and a great authentic atmosphere. It is located only 0.4 km from San Vitale and 0.7 km from Ravenna’s station. We can easily say that this is one of the best solutions for visitors who want to be at a great location, enjoy the authentic experience but still be in a modern place. You can also enjoy a breakfast buffet, free wifi and the Alighieri theatre that located nearby. 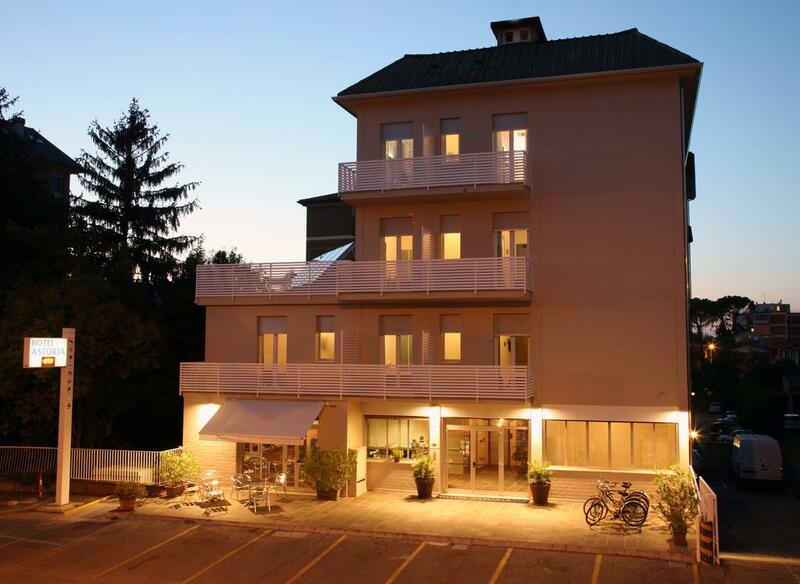 This hotel is one of the most recommended Ravenna italy hotels list. 678 reviews gave this hotel an 8.9 average score. You have to check availability before you come, cause his rooms are being taken so quickly! Centrale Byron offers one of the best prices for value in Ravenna, and rooms are being taken fast. Astoria hotel is one of the most popular hotels in Ravenna and offers a great location and nice rooms for his guests. The hotel is located less than 1 km from Ravenna’s station, San Vitale and Mausoleo di Galla Placidia. The hotel is known for his great prices, clean and comfortable rooms, buffet breakfast, and free wifi. Astoria hotel is one of the most popular hotels in Ravenna and you should save a room sometime before coming, rooms are being taken quickly. His fabulous location gives this hotel a huge advantage, You can actually walk to Galla Placidia Mausoleum and San Vitale Basilica from this hotel. Additionally, the Ravenna Train Station is just 700 meters away. 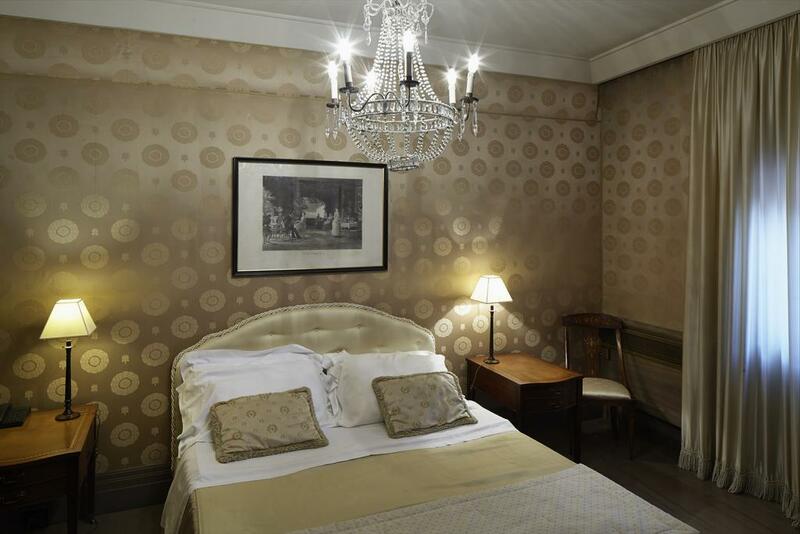 The rooms are tastefully designed with original 15th-century frescoes and precious chandeliers. Albergo Cappello boost of an amazing restaurant that serves ample breakfast which features great food according to the reviews. Grand Hotel Mattei is conveniently situated just outside of Ravenna but very close to Mirabilandia. 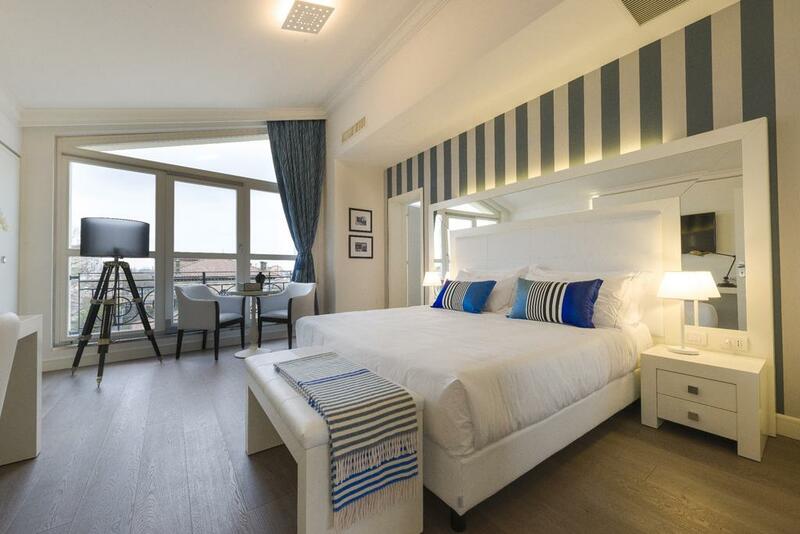 This four-star hotel has everything you need to enjoy your stay in Ravenna. It is a modern hotel with a captivating decor and a unique atmosphere. Their beds are really large and you will also have access to a modern wellness center. Grand Hotel Mattei is just a 5-minute drive from Ravenna city center. This hotel also provides free parking and free Wi-Fi. No need to worry about breakfast while you are in this hotel. They serve a large continental buffet for breakfast from their Nonna Zina restaurant. You can also catch lunch and dinner or delight yourself with Italian Cuisine in this restaurant. You can unwind in the hotel’s large hot tub, sauna and Turkish bath. From this hotel, you can visit the Mausoleum of Galla Placidia, which is a UNESCO World Heritage Site and located just 5-minute drive away. No doubt, Grand Hotel Mattei is one of the best hotels in Ravenna. If you don’t want to miss out on anything during your stay in Ravenna, then you would love Hotel Classensis. This beautiful hotel is located so close to the Basilica di Sant’Apollinare in Classe, one of the best sights in Ravenna. Hotel Classensis is the best place to enjoy traditional cuisine from Emilia-Romagna and locally sourced products. The hotel has the nicest atmosphere and a garden for anyone looking for a quiet place. Each room in this amazing hotel is double with en-suite facilities and wooden furnishings. If you are looking for something special with your hotel stay in Ravenna, you will truly love it here at Hotel Classensis. It is without a doubt, one of the best hotels in Ravenna. No matter your budget, Albergo Cenni has something special for you. We picked this hotel as one of our favorites and of course, as one of the best hotels in Ravenna due to the quality of their service. Albergo Cenni has a single room, two-bedroom apartment, quadruple room, triple room, even double room for different budget sizes. Each room has free Wi-Fi which is also available in the bar. Other facilities to enjoy in the rooms include air conditioning and an early morning Italian-style breakfast that includes hot drinks and pastries. The breakfast is served at the bar located on the ground floor. No matter the type of room you choose, you will enjoy free satellite flat-screen TV with SKY channels. If you want to visit the nearby theme parks including Mirabilandia while staying in Albergo Cenni, you will enjoy a special discount. No doubt, you will really enjoy your stay in this hotel. Before coming to Ravenna, the first thing you should do is to choose a hotel. Thankfully, Ravenna has some of the best hotels in Emilia-Romagna and indeed, in Italy. You won’t have a problem finding the best hotel to accommodate you and your traveling party. You just need to consider what you need available in your hotel and then choose the hotel that has those items. We made here a list of Ravenna italy hotels based on few parameters. Ravenna has over 100 hotels and guest houses. Thus, choosing the hotels can be daunting, but this article will help you to narrow down your choices. Like I mentioned above, Ravenna has some of the most amazing places to see in Emilia-Romagna. Thus, in order to get to see these places all at once or easily, I will recommend that you choose a hotel that is centrally located in Ravenna. If you have a special interest in any particular heritage center, cultural places or other sites, you can simply search for hotels that are located close to these sites. However, in most cases, location doesn’t really matter because Ravenna has one of the best road networks and robust transportations system. You can make the location a priority when you need to walk to these places. Location is our most important factor while recommanding about Ravenna italy hotels. Location is so important at this city! The great thing with hotels in Ravenna is that there is not so much difference between the 4-star hotels in Ravenna and the 5-star hotels in this city. Most of the hotels have the best facilities you can see in any hotel in Emilia-Romagna. However, it is still wise to check out the hotel amenities before booking a hotel in Ravenna. Nowadays, you need amenities such as free Wi-Fi, air-conditioning, gym or a wellness center and even free breakfast. Most of the hotels in Ravenna offer these amenities. Some can even delight you in Italian cuisines and a free spa. You need to make your research to ensure your hotel has all the important amenities you want. Depending on your need, you might like to have your hotel close to important city’s amenities such as Ravenna Train Station, Ravenna’s hospitals, and other important amenities in the city. There are some hotels in Ravenna that are very close to the amenities you want. This will save you money in transportation. Most of the hotels in Ravenna serve free breakfast. Some also have restaurants where you can eat your lunch and dinner. If you want to save money while you are in Ravenna, choose a hotel that offers free breakfast. If you want to get a taste of Italian food, choose a hotel that has restaurants to serves Italian cuisine. We considered the food scene while making this list of Ravenna italy hotels. Don’t choose a hotel in Ravenna without first reading testimonials and reviews from the previous users. This will help you choose the best hotel. There are thousands of websites and forums where you can read hotel reviews. You will learn from people’s experiences and this will help you to choose the best hotel in Ravenna. We hope that this list helps you to find the best option for you from the 100 lists of Ravenna Italy hotels, it can be a valuable information for you. We worked really hard and did a deep research to help you, so we hope that you enjoy and benefit from this article. If you have any questions you can always contact us. We hope you enjoy our research about the best hotels in Ravenna. 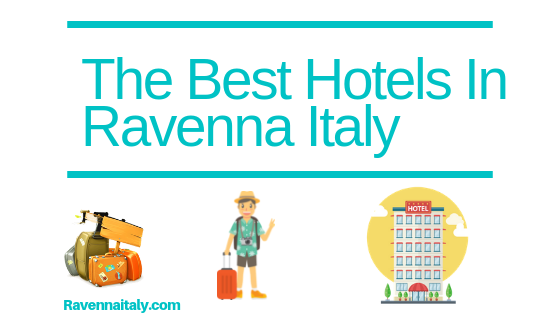 For those of you that wonder what are the best hotels in Ravenna, luxury hotels Ravenna Italy, boutique hotels Ravenna or even cheap hotels in Ravenna you can find here complete guide that will help you do the right decision. Ravenna has some of the best hotels you will see in Emilia-Romagna. 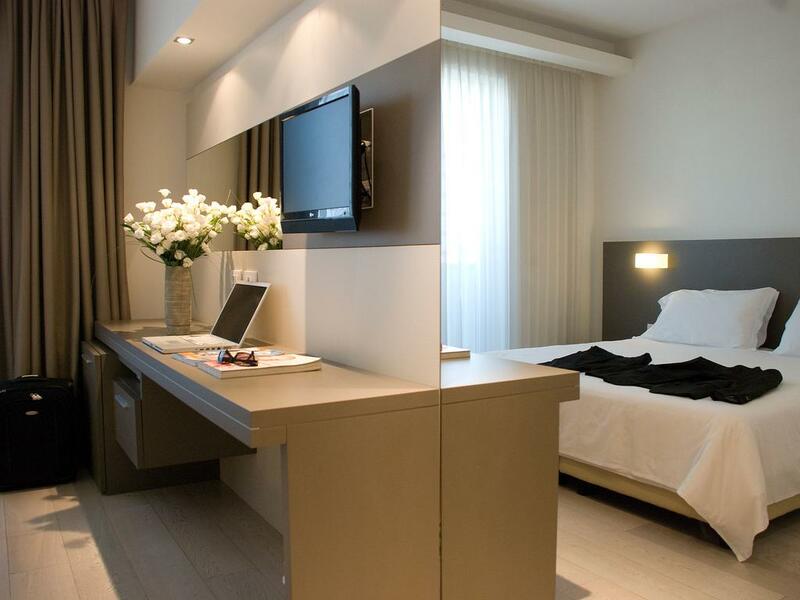 There are 5 stars hotels in Ravenna that will suit your budget. Whether you are a couple, traveling alone or with your children, there are many hotels in Ravenna to accommodate you and your traveling party.